Looking for how to set up and use Google Assistant On Samsung Galaxy Note 9? Well, your search ends here because we will be walking you through the process of setting up Google assistant on your device. 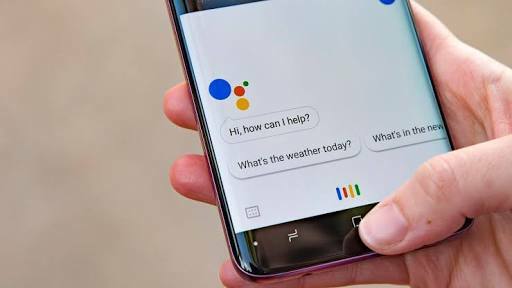 Google Assistant is an AI-powered Virtual assistant that that is developed by Google for mobile phones and Smart home devices. It is similar to Alexa, Siri, Cortana and Samsung’s own Bixby, but unlike this other virtual assistant, Google assistant is capable of engaging in a two-way conversation. This means that you talk to Google assistant like you would a human being. Google assistant is also capable of remembering the little things like your name, pet name, birth date, and other stuff thanks to artificial intelligence. Google assistant is also bilingual so it can understand when you speak two languages at once. It can help you with some things like making a quick Google search or lookup about something, make a call or send a text message. All you have to do is ask. The Google Assistant comes pre-installed in the Samsung Galaxy Note 9 device, as it does with almost every other Android Smartphone. So there is no need to Install anything. However, you might have to update it to the latest version if prompted. Now, all you have to do is Just follow the steps below to set up and make use of Google assistant on Samsung Galaxy Note 9. If you haven’t set it up before, you’ll be presented with a “Get Started” Button. Click on it. Next, Google Assistant will ask you to work voice prompt by Saying “Ok Google” or “Hello Google” about three times for it to know and recognize your voice. Once that is done, then you’ve fully setup your Google assistant. It is now ready to carry out your instructions. To pull up Google assistant at any time, you can either Long Press the Home Button or simply say “Ok Google.” This will bring up Google assistant and then you can ask it to dial a number for you, open WhatsApp or share photos with friends. With every Update, Google assistant is able to do more so if Google assistant is unable to carry out a task now, it doesn’t mean it won’t in the Feature. Google assistant also has Artificial Intelligence like I said before, this makes it learn over time and helps you even better as time goes on.